A Bachelor’s degree in Law and Philosophy is a long-standing traditional combination of areas of study. 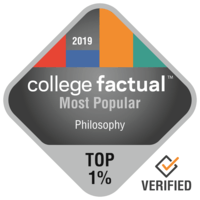 This degree provides students with all the rigorous background in analytical thinking and argumentation found in our highly reputable Philosophy department combined with the study of law-related practices in the specialized fields offered by the School of Government & Public Policy. We are currently working on the list of courses. Contact your major advisors to determine course eligibility.